The Pokémon Company International announced that it is once again partnering with Fathom Events to bring a new animated film, Pokémon the Movie: The Power of Us, to select cinemas in multiple territories as a limited theatrical release. The agreement with Fathom Events, the recognized leader in event cinema distribution, follows a successful cinema event collaboration last year that showcased Pokémon the Movie: I Choose You! and garnered strong attendance worldwide. 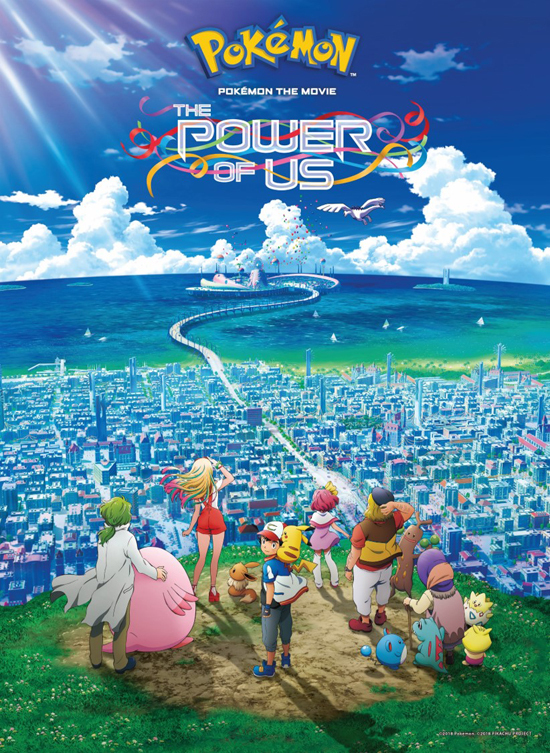 Based on the globally popular Pokémon brand, Pokémon the Movie: The Power of Us follows Ash and Pikachu as they join forces with a diverse new cast of characters to rescue a seaside town from a series of threatening incidents. Filled with unique challenges and thrilling Pokémon battles, and set during a festival celebrating the Legendary Pokémon Lugia, this heartwarming film illustrates the value of teamwork and putting aside each other’s differences. The highly anticipated Pokémon the Movie: The Power of Us will be shown in movie theatres in select markets. More information on the cinema events, including participating movie theatres, screening dates, and ticketing, will be available soon. Since debuting as Pokémon the Movie: Everyone’s Story in Japan, where the Pokémon franchise originated, the movie has already received widespread viewership.